Looking For The Best Piano For Beginners? Here’s a look at our favorites, including our top pick the – Yamaha P45 88-Key Weighted Action. For much of history, having a piano was a luxury reserved for the wealthy. Now, electric pianos make it significantly easier to beginners to start playing the piano without breaking the bank. Not only are they much more affordable than an acoustic piano, their smaller-size makes them easier to find a place for in smaller spaces, and most options come with a travel case to make them transportable (anyone who’s ever tried to move a full-size piano will definitely appreciate that). Electric pianos are also more versatile than an acoustic piano. In additional to playing classic piano music, electric pianos usually offer built-in sound effects, and the ability to plug into a computer for recording and mixing. With the right sound-mixing software, you can do some pretty incredible things with an electric piano and a computer. 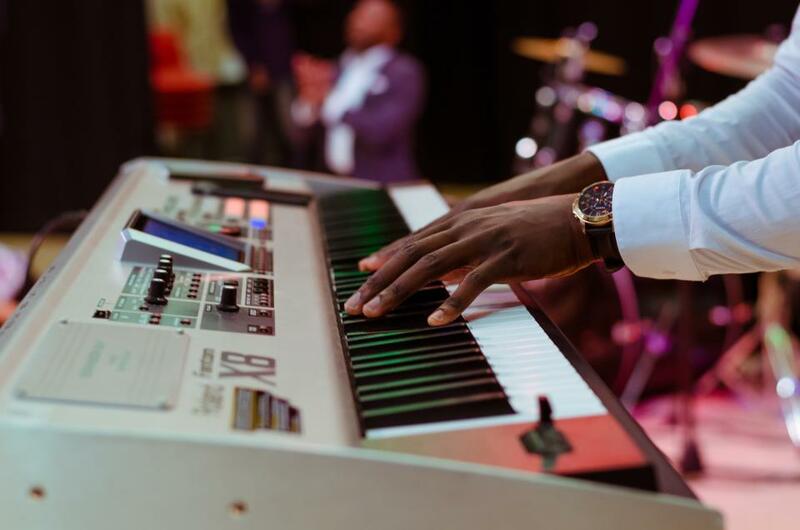 Whether you’re interested in playing classical, jazz, blues, hymns, vocal accompaniment, or even rock and roll, an electric piano is the best way to start. Even if you upgrade to an acoustic piano down the road, you’ll always be able to put your keyboard to good use. Portability – how large is the piano? How much does it weigh? Does it come with a travel case, and if so, is the travel case soft-shell or hard-shell? If the piano will always stay in your home, then portability isn’t a big issue, but if you see yourself frequently transporting the piano (perhaps as a traveling musician), then it’s certainly a factor you’ll want to consider. Price – as with most things in life, you get what you pay for. If you’re just looking for a simple keyboard to learn how to play the piano, then you can probably find a simple keyboard for less than $200. If you want a keyboard that emulates an acoustic piano, you’ll probably be in the ballpark of $200 – $400. The cost will go up from there as you incorporate more premium features. 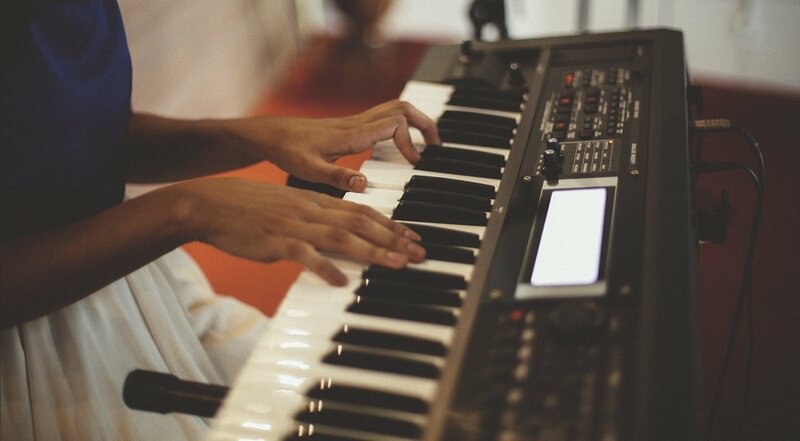 Versatility – a good electric piano should come with the ability to change the sound of the music you play. Most products include drums, percussion, woodwinds, brass, and techno-variations that let you compose creative, complex musical tracks. Volume – if you’re considering purchasing a piano for your child, you’ll appreciate getting one that has a headphone jack so your child can learn to play without causing a racket. This is also useful if you have a roommate, or if you just want to play without disturbing whoever you live with. Recording – many electric pianos let you record music directly on the instrument. This is a great way to measure your progress as you learn to play the piano, as you can record yourself playing, and listen to your recordings to learn how you can improve. Connectivity – if you’d like to connect your piano to a computer, speakers, or recording equipment, make sure it has an RCA output and/or USB output. Beginner Tools – as mentioned previously, many pianos come with built-in teaching tools to help you learn to play the piano. This can include lessons, exercises, note/chord displays, metronomes, and dual-headphone jacks for teacher-student listening. Even if you don’t know much about pianos, you probably recognize the Yamaha name. 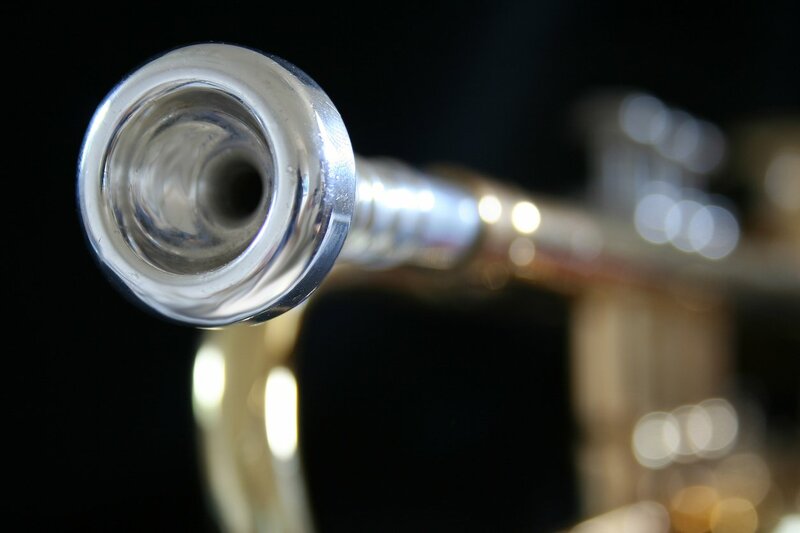 In the music industry, the Yamaha brand is known for quality instruments that last. Their quality and durability come with a higher cost, but if it fits within your budget you can never go wrong with Yamaha instruments. 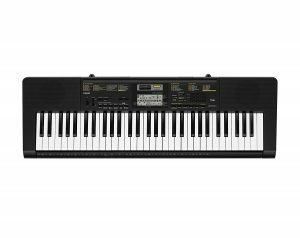 The Yamaha P45 is the best value keyboard from Yamaha. 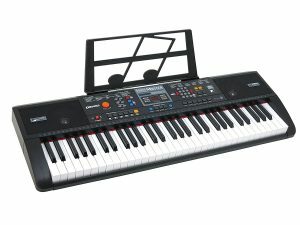 It has all 88 keys (same as an acoustic piano), and it incorporates Yamaha’s Graded Hammer Standard (GHS) weighted action to make playing this keyboard feel the same as playing an acoustic piano. The GHS weighted action is heavier for low keys and lighter for high keys, making for a natural transition when you switch over to an acoustic piano. Yamaha’s Advance Wave Memory (AWM) uses proprietary recording technology to accurately emulate the sound of an acoustic piano, and its 64-note polyphony gives you richer harmonics. 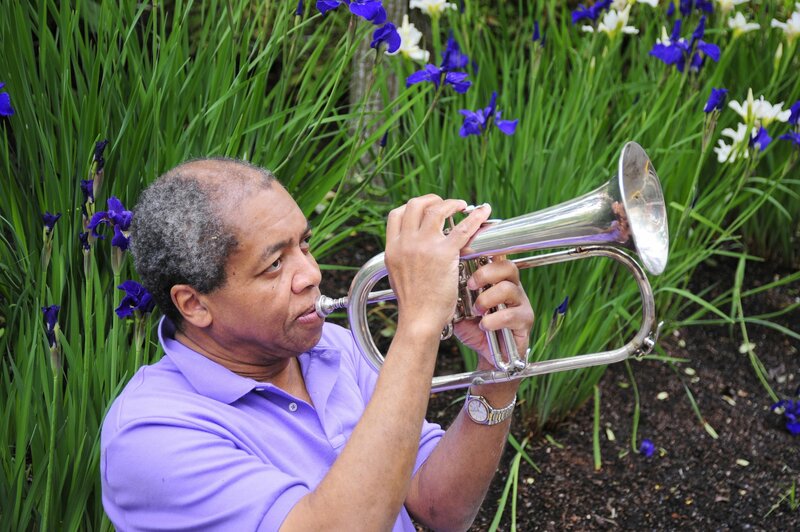 It also lets you play up to two “voices” (piano, strings, brass, woodwind, etc.) at once, so you can combine instruments for a truly unique play experience, and it includes a USB cable so you can record music to your computer. If you’re looking for a full-size 88-key piano with features for beginners, this is the one for you. The keys are semi-weighted to mimic the feel of an acoustic piano, and it boasts an impressive 128-note polyphony. It includes 5 voices (acoustic piano, electric keyboard, organ, synth, bass), and like the Yamaha P45 it lets you layer two voices at once. One of the neat things about the Alesis Recital piano is its lesson mode. 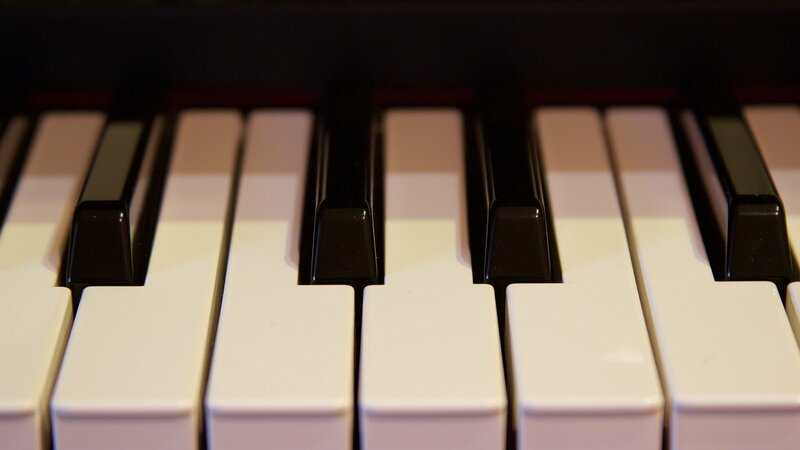 When you are taking piano lessons, you can enable lesson mode and the keyboard will essentially split in half, allowing you to play on one side of the keyboard while your teacher plays on the other side. It also has a headphone jack for private play, RCA outputs for stereo connection, and USB connection for your computer. This particular package also comes with three months of free lessons on Skoove to teach you the basics. The Casio CTK2400 PPK lacks the full range of an 88-key piano, but it makes up for that with its wealth of creative features. It has a staggering 400 AHL voices and 150 rhythms that you can play with, and it has a built-in microphone that you can use to record your own samples. With its track-layering feature, you can create incredible sound mixes without having to plug it in to your computer (though it does come with a USB-output if you’d like to sync with your computer). Lastly, it comes with a step-up learning system to let beginners start with the basics and gradually work their way into more complex play. This package on Amazon includes a full starter kit with an X-style stand and Samson HP30 over-ear headphones for private play with rich sound. 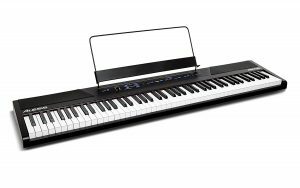 The Hamzer 61-Key Digital Music Piano is hands-down the best value on this list, and it is absolutely packed with features for the aspiring composer. It comes with 255 timbres, 255 rhythms, 61 keyboard percussions, and 24 demonstration songs to feed creative composition, and it’s a blast to incorporate all of these in with your music. The LCD screen makes it fairly easy to utilize all of the advanced features, and the layout is engineered to help you master finger control. 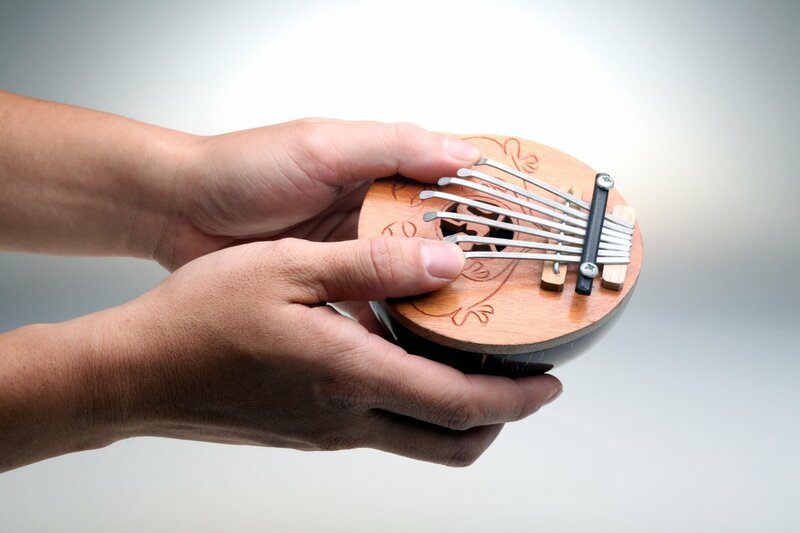 You can play single-fingered and fingered auto-bass chords, and it offers the ability to select chord timbre, program and edit the rhythm, and to utilize effects such as vibrato, sustain, and ensemble. As a bonus, this package on Amazon comes with an X-stand and a microphone. Don’t let all of these advanced features intimidate you—the Hamzer 61-Key Digital Music Piano is geared for beginners and intermediate musicians. It has the ability to start simple, and grow with you as your talent and understanding builds. It’s an excellent choice for children who want to learn to play the piano, as it will grow with them over the years. The Plixio 61-Key Electronic Music Keyboard Piano is another simplified option geared for beginners. It’s lightweight (easier for kids to take to school, lessons, etc. 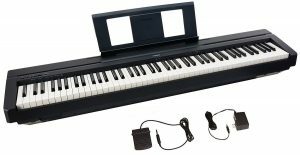 ), has battery-backup for when you need to play somewhere without a power outlet, and it has a USB port that allows you to record music to your computer and to upload MP3 files directly to the piano. 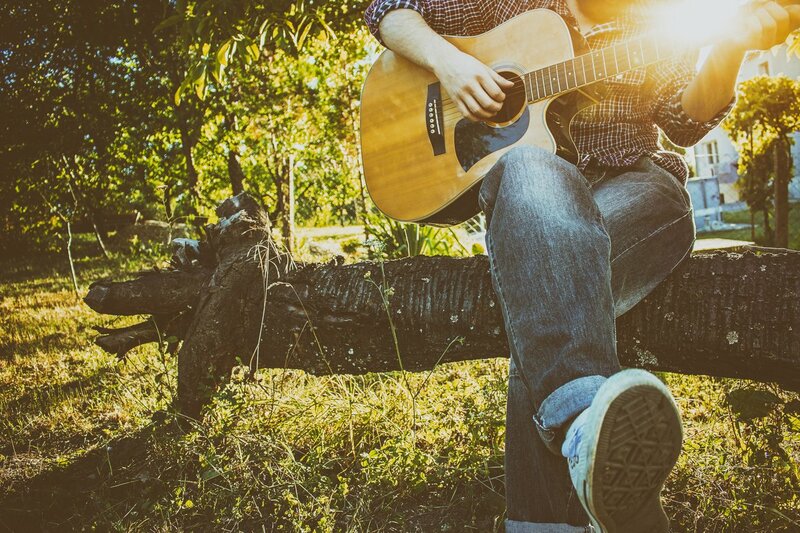 You’ll have access to 60 demo songs, 40 tones, 100 rhythms, 8 percussions, and 61 keyboard percussions, along with a variety of chord and other sound effects. As always, I only recommend products that are reputable and highly rated, so you can’t go wrong with any of the pianos in this article. If your budget allows, the Yamaha P45 is definitely the crème of the crop, a full professional keyboard. 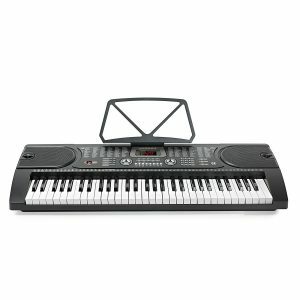 If you want a full 88-key piano with professional features for a little less, the Alesis Recital is a fantastic value. I’d recommend both of these especially for adults. If you’re looking for a keyboard for a child, the 61-key options offer a great beginner’s platform at an attractive price, and they’re much lighter than the 88-key options, making them easier to transport as your kids go to school or music lessons.